Meet the fairies with Lettice in this enchanting picture book - perfect for little girls who love pink! READ BY FINTY WILLIAMS. 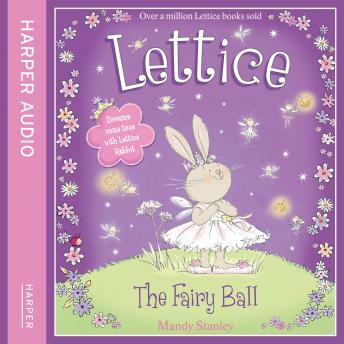 Lettice Rabbit is thrilled when she finds herself a guest of honour at the Fairy Ball in Fairyland. She has a truly wonderful time: wearing a fairy dress, enjoying a delicious feast and dancing in the moonlight.